Are you looking for an inexpensive way to showcase your products and services to the general public? MARK YOUR CALENDARS NOW - THIS YEAR'S EXPO WILL BE HELD ON SEPTEMBER 18TH AT WEST OAKS MALL. This expo will be open to the public, which will dramatically increase your company's exposure to West Orange Residents. 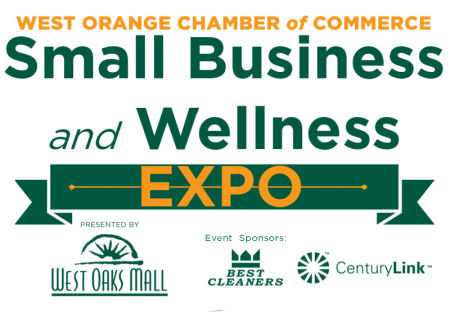 This one-of-a-kind Expo, will allow you to eat, drink and network together while learning about local small businesses and wellness experts including: doctors, dentists, massage therapists, chiropractors, health food distributors, lifestyle coaches, personal trainers and more. 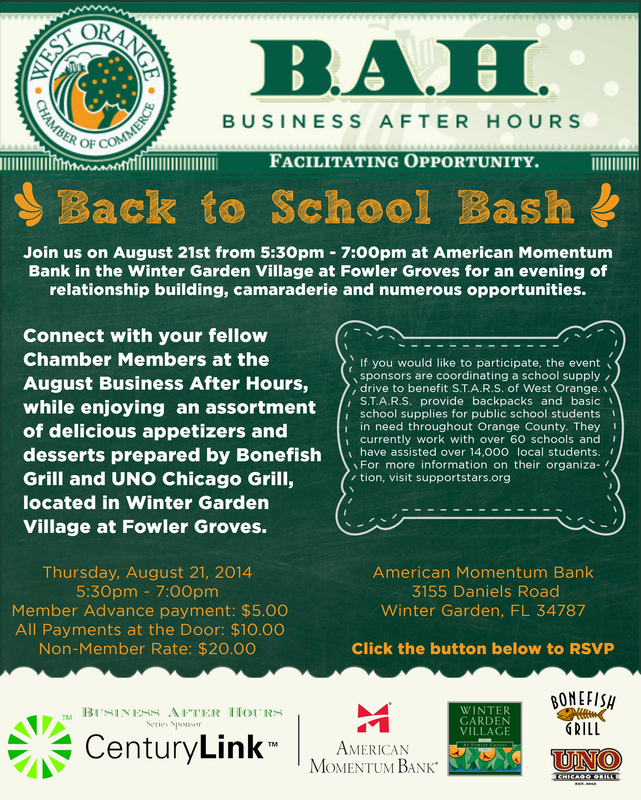 This unique event, which runs concurrent with our Business After Hours, is specifically designed for our Members that have less than 20 full-time employees. If you register before August 7th, you will save $20 on the already low table rental price. For sponsorship information on this event, download our sponsorship package. If your business has more than 20 employees, there is still an opportunity for you to participate. Our Participating Sponsorship level gives you added exposure and a complimentary table at the event. Download the Participating Sponsorship Form here or Download our entire Sponsorship Packet. Advanced Payment: $15.00 pp includes lunch, drink, dessert, tax and tip. Payment at the Door: $20.00 pp includes lunch, drink, dessert, tax and tip. Read the latest edition of Orange County Connect from Orange County Mayor Teresa Jacobs. CenturyLink launches Central Florida's first gigabit network, delivering speeds up to 1 gigabit per second. Thousands of residential and business customers now have access to some of the fastest broadband speeds in the United States. Read the full press release for all the details. 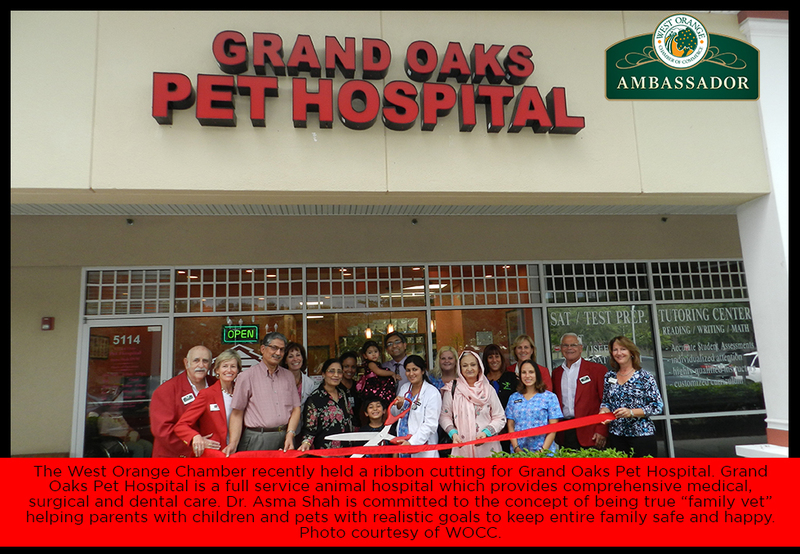 Are you a Member that actively seeks out other West Orange Chamber Members when shopping for goods and services. That pro-active, Chamber-minded mentality could land you the title of Chief Facilitator of Opportunity. Each time you do business with or send a referral to a fellow Member, visit our CFO page and tell us about it. We love to hear your stories! Here just a few of our past CFO's - Kay Hill of Florida Film Academy; Denise Fisher of Aflac; Randy June of June Engineering Consultants; Bal Gautam of Holiday Inn Express; Dianne Southwell of Plaudits! Guest Speaker: Lisa Reineck, Small Business Resource Network Program Manager with the Small Business Development Center at UCF. 10% off Payroll services from The Digital CPA. In case you missed last week's HOB NOB and Straw Poll, presented by Orlando Health and Walt Disney World Resorts, the turnout was fantastic. Some of the area races were very close and the candidates were all very supportive of one another. This was the area’s last political Hob Nob & Straw Poll using the Supervisor of Elections voting machines before the 2014 general primary this August. As in years past, the results of this Straw Poll are viewed as a gauge for the primary. To view the straw poll results - visit the News section of our website. 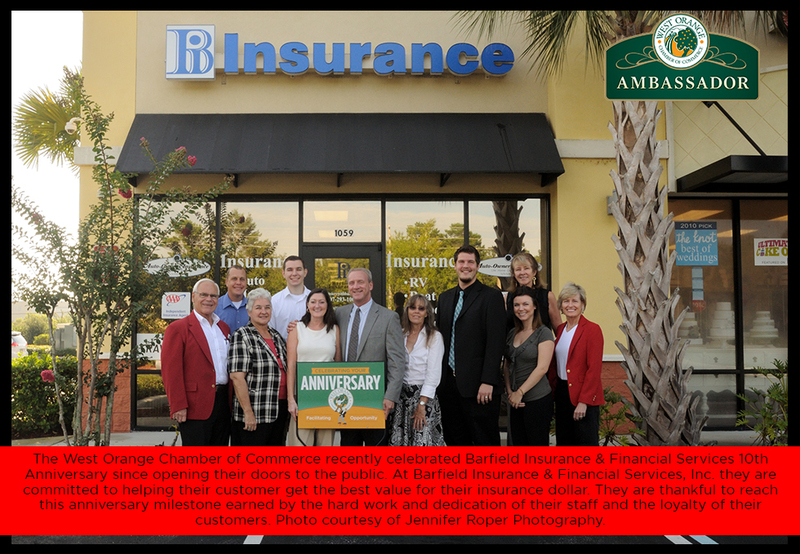 Month after month, the Chamber has noticed an upward trend in our Networking Groups and our Networking Lunches. 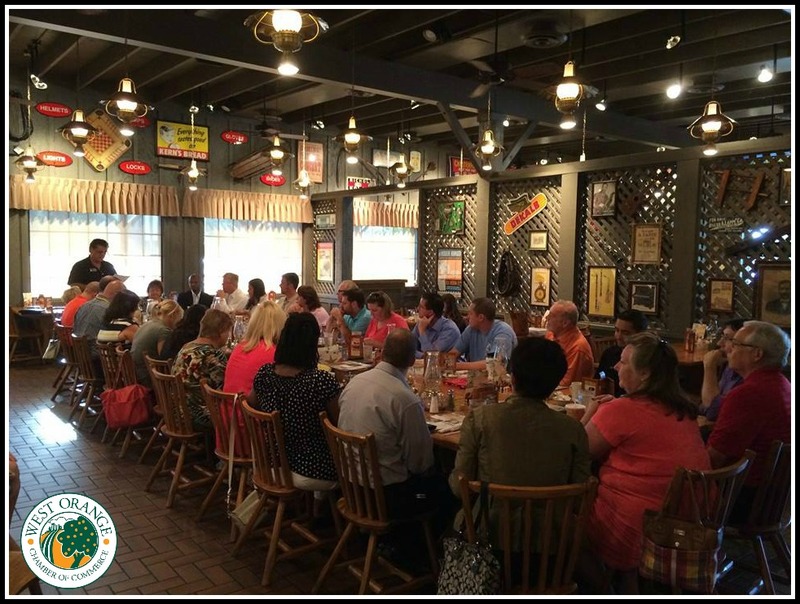 At a recent Lead and Feed at Stefano's Grill, there were over 60 attendees! In its sophomore year at the Chamber, The Golf Networking Group, is continuing to add new players each month. The weekly and bi-weekly Networking Groups also continue to expand. This type of trend shows that our Members are active, involved and dedicated. 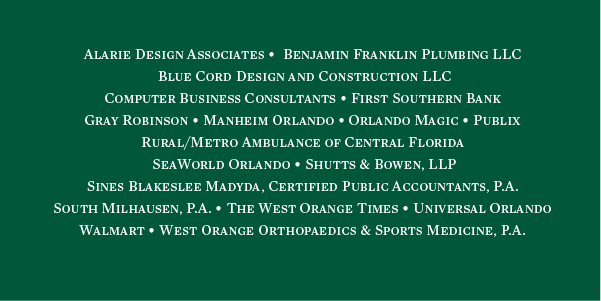 We are proud to facilitate so many opportunities for your businesses. 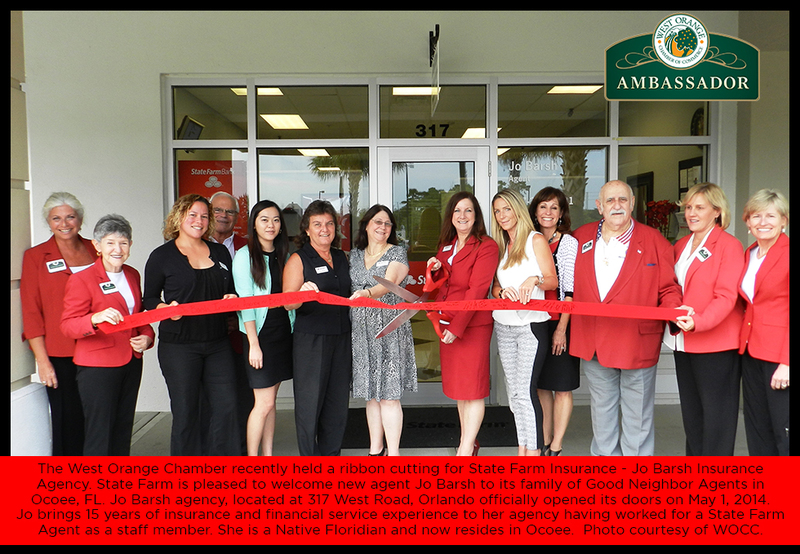 Visit wochamber.com for more information on our Networking Groups or our event Calendar for a list of events where YOU can build relationships with other Members. The West Orange County BackPack giveaway is this Saturday, August 9th from 10am - 1pm. Click here for more information on this fantastic event. The Garden Theatre's Summer Movie Series is in its final month. They have provided a plethora of nostalgic, entertaining and "oh, I love that Movie" screenings all summer long. To view the remaining films, visit their calendar. West Oaks Mall, 9401 W. Colonial Drive, Ocoee, will host a food truck event on August 8th from 4-8 p.m. Admission and parking are free; Food is $3-$18. For more information, visit www.foodtruckcrazy.com.